Many pre-service teachers admit to feeling unsure about the mathematics they will have to teach in primary school. Others comment on the difficulties they have in recognising how the theories of teaching and learning they meet in other parts of their course can be applied when te... read full description below. 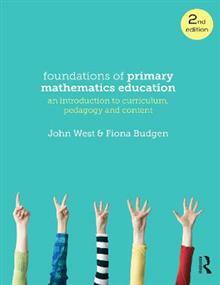 Dr John West is a Lecturer in Mathematics Education at Edith Cowan University. He has taught mathematics at primary, secondary and tertiary levels. Dr Fiona Budgen is a Senior Lecturer in the School of Education at Edith Cowan University. She and John have a strong research interest in primary mathematics education and identifying and supporting numeracy needs of first year students.